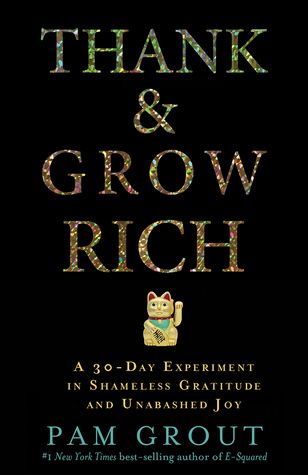 With 2017 fast approaching, Thank and Grow Rich: A 30-Day Experiment of Shameless Gratitude and Unabashed Joy by Pam Grout gives us readers a reminder to express our gratitude and to have fun. Having fun and expressing gratitude leads the way for more abundance and fabulousness in our lives. Pam helps us to do just that by providing party games. If you aren’t familiar with Pam, she has written the highly successful E-Squared, which is one of my favorite LOA type books. Although this book is a bit longer than it needs to be, it serves its purpose of giving readers a pick-me-up and reminder to be grateful for what we do have. Being positive and grateful can change your life!